Search over 250 million obituaries to find out who your ancestors are and what they meant to those who know them best! What Can a U.S. Obituary Search Tell You About Your Ancestors? If the relative you are looking for died after 1976, then the first place to begin searching is this archive of recent obituaries. These obituaries are the text-only versions just as they were published in the newspapers. These recent obituaries are exactly as published in local, state, and national U.S. newspapers. We receive the same "feed" from the newspapers that they send to printing plants. 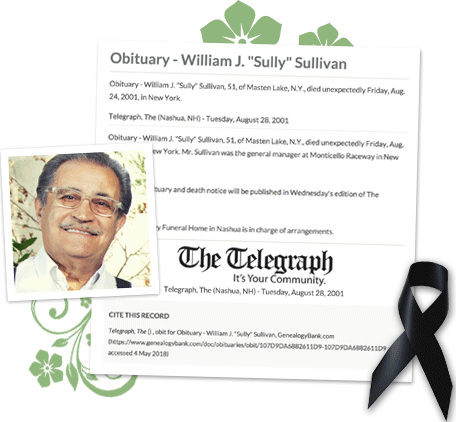 Our recent online obituary archive is updated throughout the day and even includes the obituaries that will appear in tomorrow's newspapers from across the country. Expand your search to include multiple localities and newspapers. Obituaries are frequently published in the local newspapers where your deceased ancestor resided or other family members lived. Search only by a person's last name. 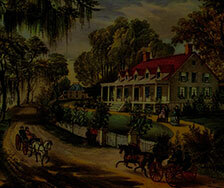 For more distant ancestors, search our collection of historical obituaries dating back to 1704. Use obituaries to help you find your ancestor's cemetery records. Obituaries, recent and past, offer valuable insights into your family history helping you to expand your family tree past names and dates. 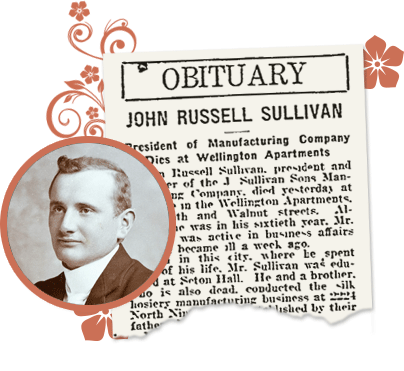 Recent obituaries are amazing resources that uncover stories of our ancestors helping us fill in the blanks in our family trees and discover who they were and where we come from. With GenealogyBank you can search U.S. obituaries in our online archives by name state, and more. Where an ancestor is likely buried. The name of the cemetery and/or funeral home responsible for their burial. Major accomplishments in your ancestor’s lives — what schools they attended/graduated from, job/career accomplishments, and mentions of church and community organizations they belonged to, if any. Names of towns and neighborhoods they lived in. Names of and details about then-surviving relatives and friends.